I hate to say this, but I think Russia's relations with Syria are more sensible than my own country's! Sure Assad is a murderous thug. But he is a stabilizing force who protects the rights of women and minorities (to a degree) and is stopping his country from becoming a taliban state. The rebels we are funding would not bring democracy. There may be a few who have good intentions, but they will be swept away by the Isalmists. So props to you Russia! Will Russia ally with Arabia against Iran and the US ? Because it seems Iran has been sending signals of reconciliation and military cooperation to Iran over Iraq. What are your views on it my fellow users ? Even tho i'm not uptodate about the new Iranian administration but i don't see anything why i should believe that Russia should be against Iran and the bigger question is what do you define as "Arabia"? The entire region is arabic but split into different religion definitions, political active agencies by a lot of countries that are either already occupied by US or isolated because they do not follow as the US wants. So this said i don't see why should Russia and "Arabia" unite against Iran and US, because i don't see any of those camps you listed as reflection of reality. Iran is the most important ally of Russia after China and vice versa. No way this to change, americunts kiss whatever they cannot bite is in their snakish nature. Don't view Russia through cold war eyes. Russia will trade and deal with anyone right now... they have no ideology to push and no agenda... except to make money and do deals. Russia is happy to trade with Saudi Arabia AND Iran AND the US AND the EU. The problem for Russia is that the US and the EU and Saudi Arabia want to play silly games. When selling arms and things to China, Russia is not picking China over India and when selling arms to India Russia is not picking India over China... there is no reason for any of these countries to be enemies and it is in their interests to be trading partners and indeed friends. Only the US benefits from Russia or India or China having conflicts... or it thinks it does. Coalitions of the willing to help build or rescue instead of bomb. Democrap or Reptilian, they both are the same, they make promises that is what they are good in but still follow neocon liberalism BS that is endangering american interests and especially endangering everyone else, except Israel. With the on going Syrian conflict, it has really driven a hedge between Russia and Israel relations. And now Russia saying that "mossad is training ISIL terriosts" and Asking why israelis bombed syria just recently. How will this affect Russian israeli relations? Screw israel, it is an open secret that they are attacking since decades their neighbouring countries with terrorist attacks or with US help, they seek regional power which they can not have without US and NATO countries fighting wars for them. Russia knows this all along that Israel is main terrorist in Middle East that fights wars against independent government like Lybia,Syria and Iran. The problem are the zionazis and jew sympathizers in Russia that are forming the 5th column and giving russian money to Israel and trying to play a retarded game of Pseudo Friendship which they force upon russia despite Israel is a perennial threat to russia and russians due its politics and sect believes. I think you mean a wedge between Russia and Israel. They have never been best buddies... the UAVs the Russians bought and licence produced were obsolete models with the latest models not for sale. What do you make of this? I don't know if it is just proganda or something else. It sounds like BS. Russia would benefit more by reconstructing Syria and Iraq, defeating ISIS, and building up the region into one coherent alliance. Then they can deal with Saudi Arabia and Israel. There's more appropriate sections of the forum to post this. It is not really military related as such so I have moved it to the international politics section. Personally... without having read the article, I think it is just another western conspiracy theory about Putin... make him appear a puppet master and people might not notice all the strings lead to washington. Russia’s KRET Concern and the Israeli defense company Elbit Systems Ltd will cooperate to develop the onboard electronic systems for the all-new Russian MS-21 (Yak-242) medium-range aircraft, the KRET press-office told RIA Novosti. Elbit Systems is Israel's largest private defense contractor and has designed and modernized a wide range of weapons and military equipment, including UAVs, avionics, radio-radar systems, and artillery and missile guidance systems. I'm almost certain that the targeted market for this isn't Russia, but most likely India. Lol mag you want us indians to die for zions ? Btw indian airliners dont use russian planes . Mostly use Boeing , Airbus Sharklet and Bombardier . Only Spicejet uses Bombardier rest use boeing or airbus . No russian sukhoi planes . max steel wrote: Lol mag you want us indians to die for zions ? Btw indian airliners dont use russian planes . Mostly use Boeing , Airbus Sharklet and Bombardier . Only Spicejet uses Bombardier rest use boeing or airbus . No russian sukhoi planes . Not yet. Don't forget there were talks for it, and MS-21 is probably a direct competitor to SSJ-100 with rumors of India's interest in it. So that would indicate that MS-21 could be sold in India in future. I believe it was either MS-21 or SSJ-100 that they were even offering partial tech transfer and manufacturing in India. If they pulled this, they would essentially obtain the Indian market for it. Netanyahu’s office announced on Thursday the prime minister’s plans to visit Moscow next week to discuss with Putin "the deployment of Russian forces in Syria"
SOCHI, September 18. /TASS/. Russian President Vladimir Putin will discuss with Israeli Prime Minister Benjamin Netanyahu the situation in the Middle East next week, Kremlin aide Yuri Ushakov said on Friday. "This will be a businesslike sincere conversation of the two leaders," he told TASS. Ushakov said Putin and Netanyahu "meet quite often and have telephone conversations." Netanyahu’s office announced on Thursday the prime minister’s plans to visit Moscow next week to discuss with Putin "the deployment of Russian forces in Syria." Kremlin spokesman Dmitry Peskov told journalists earlier on Friday that Russia will consider Syria’s request to send troops if Damascus asks for it, but it is hard to talk about hypothetically. Peskov also said that Turkish and Palestinian leaders Recep Tayyip Erdogan and Mahmoud Abbas could visit Moscow next week. MOSCOW, September 24. /TASS/. Russia and Israel have discussed the coordination of joint actions regarding Syria, Russian presidential spokesman has told reporters. "As far as channels of information exchanges and coordination of likely actions are concerned, this theme was discussed. Certain agreements at the meeting with Netanyahu were achieved," he stated. As he dwelt on the theme of Israeli media reports to the effect the meeting for the coordination of joint actions in Syria at the defense minister level might take place on October 5, he remarked that "the group’s meeting is a theme that concerns the Defence Ministry and all questions regarding the date and the very instance of such a meeting should be addressed there." Earlier, the Jerusalem Post said that Israel and Russia will set up a joint work group for coordinating actions regarding Syria. "The IDF and Russian military will set up a joint working group to coordinate their Syria-related activities in the aerial, naval, and electromagnetic arenas," the daily quoted a source on Monday. The chief of the Israeli army’s General Staff, Gadi Eisenkot, met with his Russian counterpart Valery Gerasimov in Moscow on Monday. Also, Eisenkot was present at Russian President Vladimir Putin’s meeting with Israeli Prime Minister Benjamin Netanyahu. According to the Jerusalem Post "afterward, the two sides agreed to set up a joint working group led by the deputy chiefs of staff from each country; the first meeting will occur in two weeks, and the location will be decided in the coming days." After the talks Netanyahu told Israeli media in a telephone interview that Israel and Russia had agreed to establish a coordination mechanism to prevent ‘misunderstandings, clashes’ between their forces in Syria. Israeli Ambassador to Russia Zvi Heifetz noted the importance of preventing "the possibility that Iran will sit on the Golan Heights"
MOSCOW, March 1. /TASS/. Israel understands Russia’s actions in Syria, Israeli Ambassador to Russia Zvi Heifetz has said. According to him, Russia has made a substantial contribution to the ceasefire agreement in this country. "We understand Russia’s actions in Syria. However, it is very important for us to eventually prevent the possibility that Iran will sit on the Golan Heights, to prevent the possibility of Iran’s aggression from Syrian territory and to prevent the supplies of weapons to Iran through Syria," he said on Tuesday at a meeting with Federation Council speaker Valentina Matviyenko. The diplomat also commended Russia’s contribution to the ceasefire agreement in Syria. "This is a big contribution, and this should be appreciated," he said. 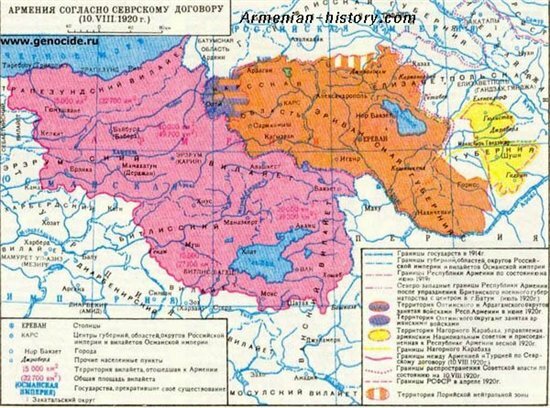 will Russia terminate THE KARS Agreement of 1921 , legaly expiring this year ? Washington has vetoed any further sales of Israeli-made unmanned air vehicles to Russia. For several months Russian companies have contacted Israeli manufacturers in an attempt to reach joint venture agreements. However after checking with the Israeli defence ministry about the potential of formalising any such pact, it became obvious the US administration would be very strongly opposed, and would veto any export license. Further discussions have been halted as a result. Moscow has previously purchased 10 Searcher 2 and 30 BirdEye-450 UAVs from Israel Aerospace Industries, with these having been partially assembled in a Russian plant. Some of the air vehicles – mainly of the former model, dubbed "Forpost" in national service – have been used by Russian forces in Syria. Good. More incentive for Russia to get its sh*t together to assemble these toys. enough to believe that Russia defense companies are going to pay for all of the innovation. That's what happens when you violate another nation's airspace without permission, especially during a conflict. Russian forces in Syria have fired at least twice on Israeli military aircraft, prompting Prime Minister Benjamin Netanyahu to seek improved operational coordination with Moscow, Israel's top-selling newspaper said on Friday. Separately, Israel's Channel 10 TV said a Russian warplane approached an Israeli warplane off the Mediterranean coast of Syria last week but that there was no contact between them. An Israeli military spokesman declined comment. Netanyahu's office and the Russian embassy in Israel did not immediately respond. Visiting Moscow on Thursday, Netanyahu told Russian President Vladimir Putin in televised remarks: "I came here with one main goal - to strengthen the security coordination between us so as to avoid mishaps, misunderstandings and unnecessary confrontations." In an apparent allusion to Syria, Putin said: "I think there are understandable reasons for these intensive contacts (with Israel), given the complicated situation in the region."